As we opened our facility to the pouch industry on June 15th during the Global Pouch Forum, we look back at Karlville’s 20 year trajectory in pouch. From humble beginnings in converting machines for pouch and a contagious passion for innovation, we are proud to announce in the Global Pouch Forum, our partnership with HP for the launch of the HP Indigo Pack Ready Lamination Technology. At DRUPA, HP and Karlville made history by printing, laminating, pouching and filling, on a daily basis, the DRUPA Daily News Front Cover Content printed on a pouch. This is a repeat for HP, as years back they printed the DRUPA Daily News on demand as they launched the Indigo machines, a concept that at the time broke the rules. 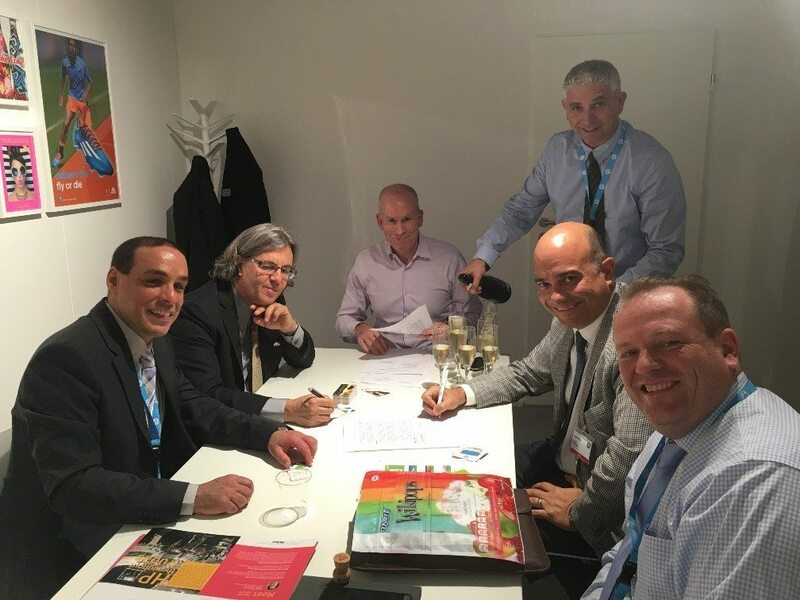 John Price and Raul Matos from Karlville took time at DRUPA with Lior Lewinz, Roy Oomen, Amir Raziel, and Alon Bar-Shany from HP, to sign an agreement to formalize relations and establish a working program for Pack Ready. HP Indigo Pack Ready Lamination will revolutionize the pouch industry by allowing a zero cure and high bond strength lamination for short run pouch making. The technology will not only change the way converters convert short runs but also impact the supply chain and future customer expectation of brands for lead time for pouch. For more information and to reserve your Pack Ready Machine, please visit our website at www.karlville.com/product/hp-indigo-pack-ready-lamination .